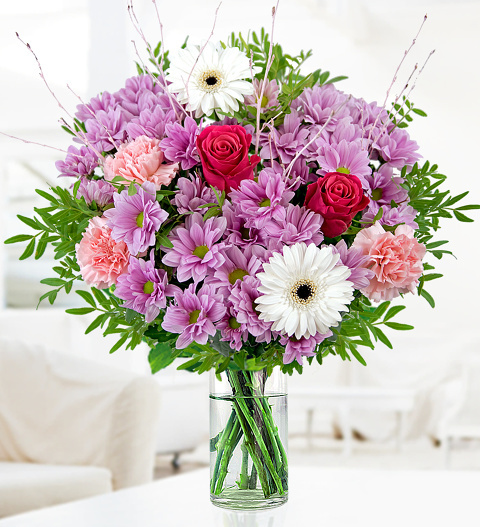 A pleasant bouquet of fresh carnations, germini and cerise flowers to spoil a friend of loved one for a special occasion. This quite simply is the perfect bouquet to wow your lucky recipient. All of our bouquets are available for UK next day delivery and comes with a FREE box of fine Belgian chocolates and Premium Flower Feed. Chocolates may contain nuts.